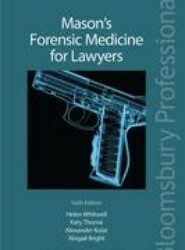 Preceded by: Mason's forensic medicine for lawyers / Sharon Cowan, A.C. Hunt. 5th ed. c2008. 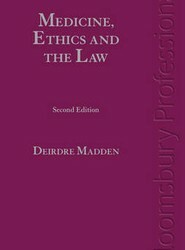 Written by a barrister with medical training and qualifications, this unique Irish law book is a core text for any student of medicine, dentistry, radiography, physiotherapy, psychiatry or nursing, as well as legal practitioners advising clients in this area. 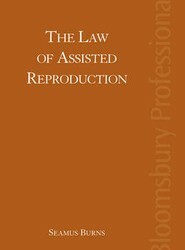 This brand new title analyses the Human Fertilisation and Embryology Act 2008 and considers the wide-ranging legal, ethical, medical, moral and social arguments deployed in argument in Parliament in favour of and opposing controversial amendments to the 1990 Act. 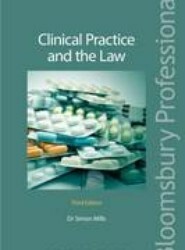 Written by one of Ireland's leading medical law academics, this practical book comprehensively covers case law and regulations regarding the healthcare system, the law relating to human reproduction, and the key issues of consent and treatment. 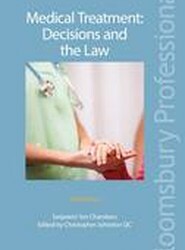 Looks at the decisions involved in obtaining authority for the provision, withholding and withdrawal of physical medical treatment and care and the legal requirements and consequences of the decision-making process. This work examines the general principles and specific problems such as caesarean sections, anorexia and persistent vegetative state. 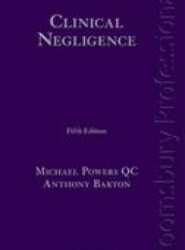 Covers different aspects of clinical negligence claims. 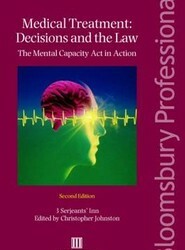 This book identifies the practical difficulties in bringing an action for damages, to show how to prepare the medical evidence on liability, and complete the medical reports on quantum. 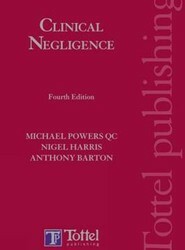 It also provides guidance on the best way of presenting expert evidence in court.